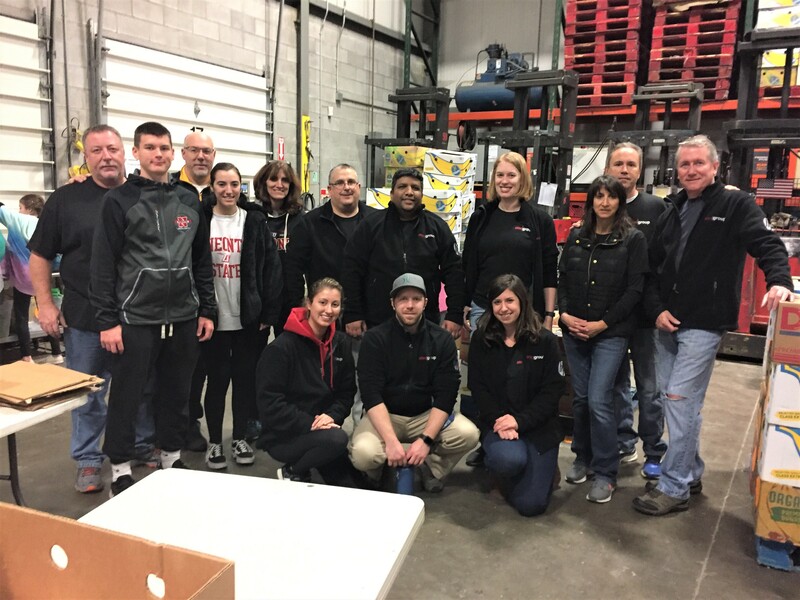 Earlier this month, ATEC Group had the chance to volunteer at the Regional Food Bank of Northeastern New York in Latham. This was my second time volunteering at the Food Bank with ATEC and I was excited for another opportunity to help out! Our two hour shift was dedicated to organizing frozen meats and other food products that were provided by different local grocery stores. We had one half of our team unboxing the food and examining each item to make sure expiration dates had not passed and that plastic wrapping was in tact. We then organized these items into different categories including beef, poultry, pork, deli, prepared foods, and more. 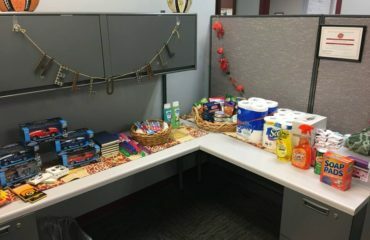 The other half of the team took the sorted food items and put them in boxes to send out to local charitable organizations. Once those boxes were filled up and arranged, we weighed them and organized them on wooden pallets for shipping! 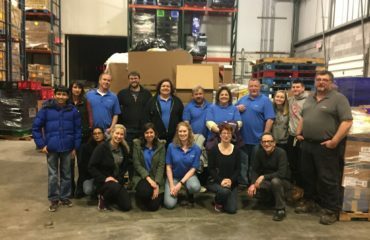 Our ATEC Group team truly enjoyed taking time out of their evening to volunteer. We even had the help of a local Girl Scout troop during the second half of our shift! We’re already discussing when we can all return to volunteer at the food bank next. 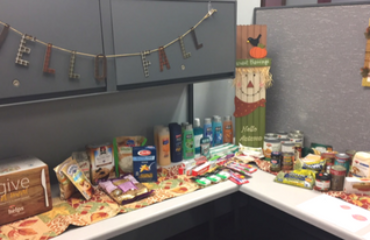 Did you know that the Regional Food Bank of Northeastern New York provides over 30 million pounds of food a year to 1,000 agencies in 23 counties? The Food Bank collects large donations of food from the food industry and distributes them to charitable agencies serving hungry and disadvantaged people. 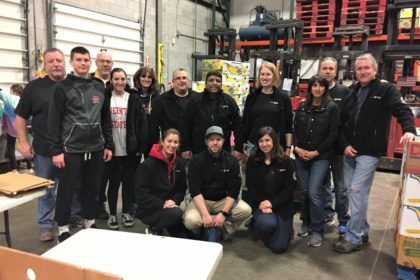 The food bank has been serving the community since 1982 and is the only organization of its kind in Northeastern New York. Interested in volunteering? Check out their volunteer page for more information!